The two top-ranked Australian table tennis players, 20-year-old Michael Wilcox and 19-year-old Murray Thompson, provided a Gisborne audience with a dazzling display of match-winning table tennis when they met and defeated local players in five matches in the Y. M. C. A. stadium recently. 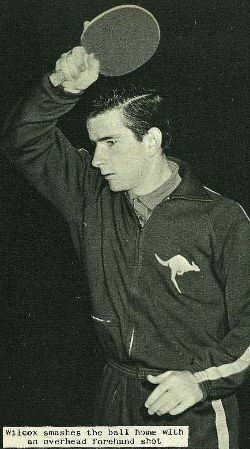 Wilcox, who is currently rated No.1 in his country, has been prominent in the sport since 1957, and climaxed his 1963 season by winning three titles in the Australian championships. 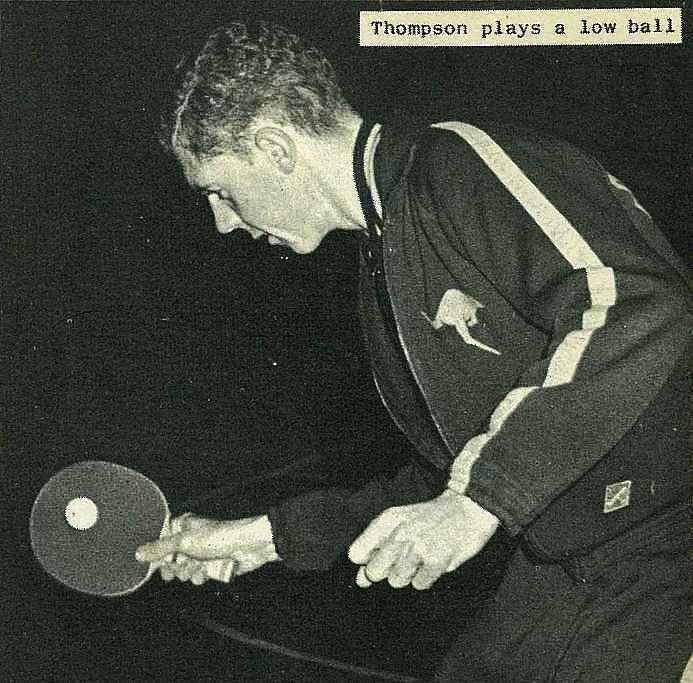 Thompson opened his title-winning career by claiming the Australian junior championship in 1960, and is now ranked No.2. 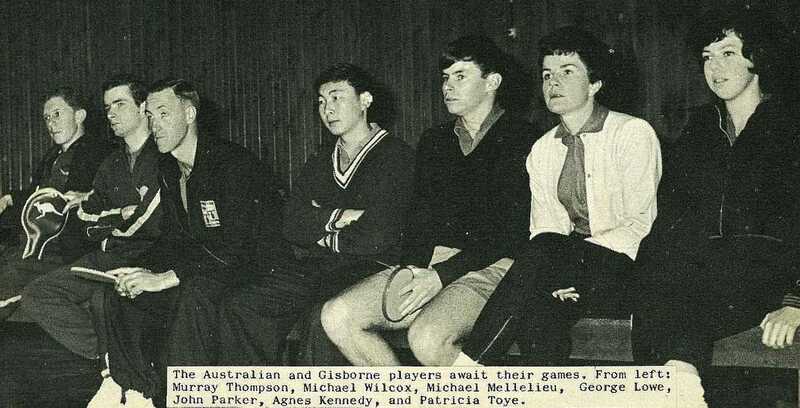 The Australian and Gisborne players await their games. 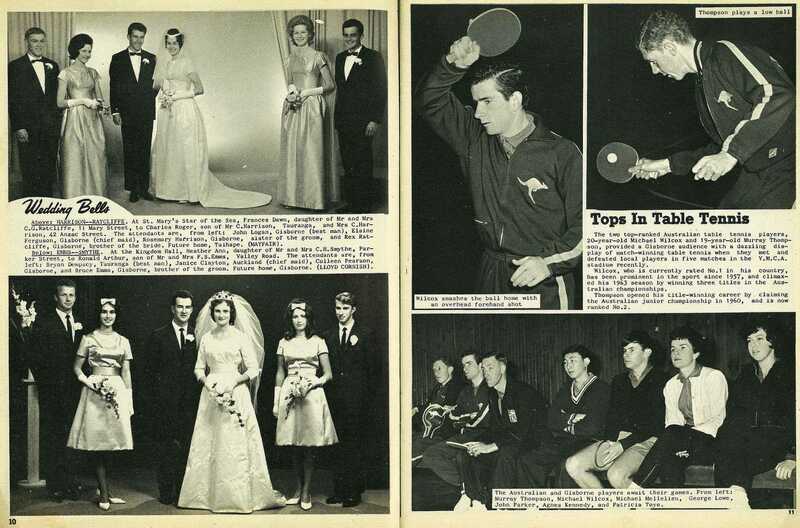 From left: Murray Thompson, Michael Wilcox, Michael Mellelieu, George Lowe, John Parker, Agnes Kennedy, and Patricia Toye.